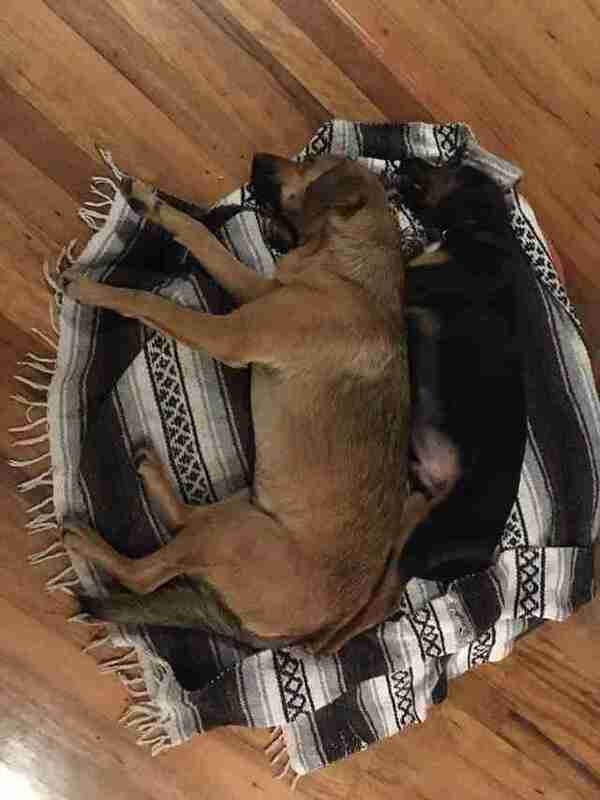 They started spooning right away. 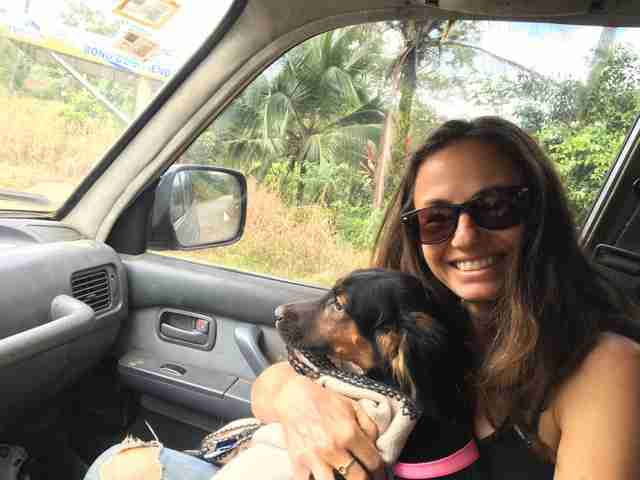 While lush and beautiful, Costa Rica is also unfortunately home to many homeless dogs — and this is why Tania Cappelluti decided to do something about it. 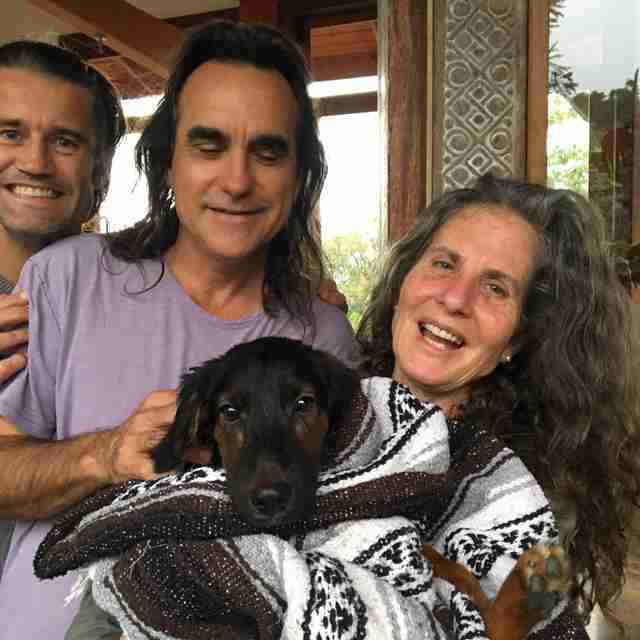 Cappelluti, who also runs a yoga retreat, got together with a few animal lover friends and started Charlie's Angels Animal Rescue Costa Rica — and a little puppy named Rocco is the latest individual to benefit from their kindness. Cappelluti was out visiting a farm with a friend recently, when she spotted a young dog being kept in a pig sty. "Filthy. Damp. Concrete. No toy, no blanket," Cappelluti told The Dodo about where little Rocco had come from. 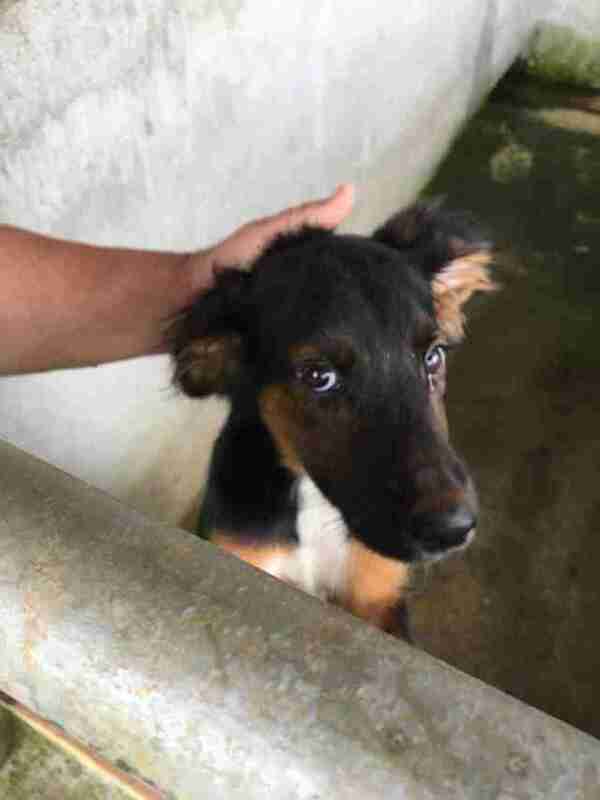 "When we saw him in there the first time ... it broke our hearts." Cappelluti left the little dog a blanket to snuggle until she could come back for him in the following days as she coordinated the rescue. "That's where he was sitting on when we came back to rescue him," she said. "He was begging us to free him," Cappelluti said. "And he was so happy to see us again!" Rocco's life was already so much better as he rode away from the farm in Cappelluti's arms. But it was about to improve even more. 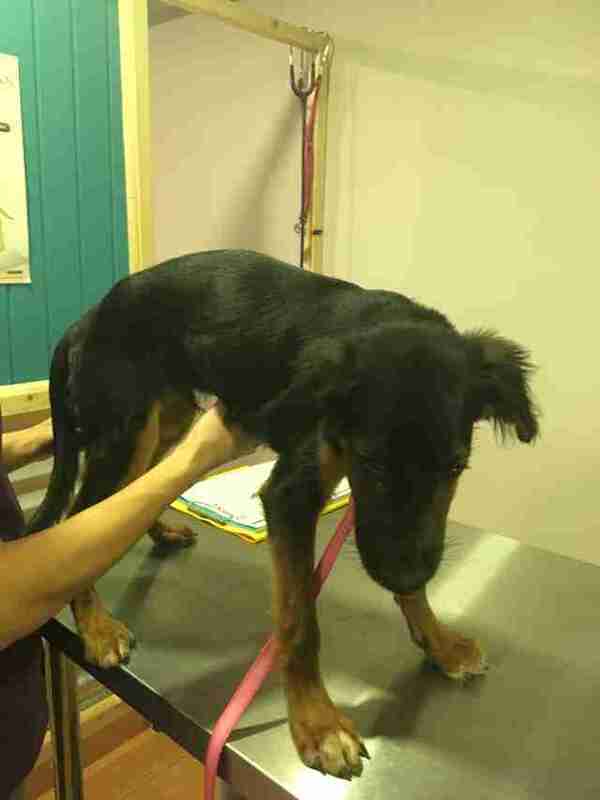 For one thing, he got checked out at the vet and also got all cleaned up. Any hint of his squalid past was washed away. And then Cappelluti found Rocco a perfect family. 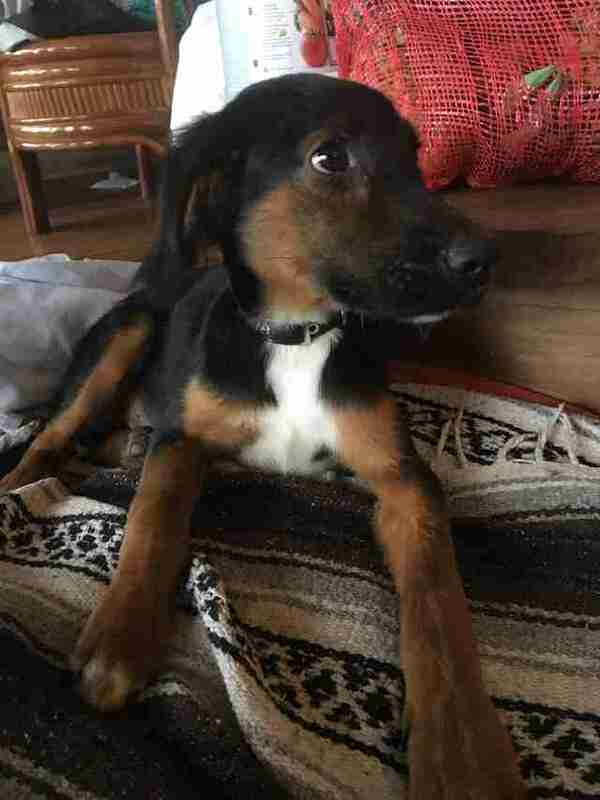 Cappelluti's friends, Nikki and Brad, had adopted another rescue dog, Lucky — as well as a cat — through Charlie's Angels earlier this year. 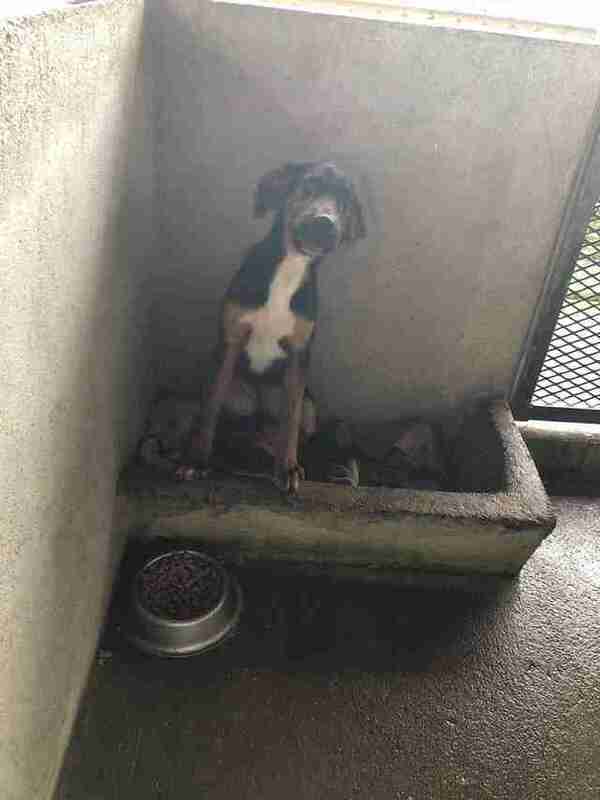 And when they saw Rocco, they realized they could open up their home and hearts to a second rescue dog. 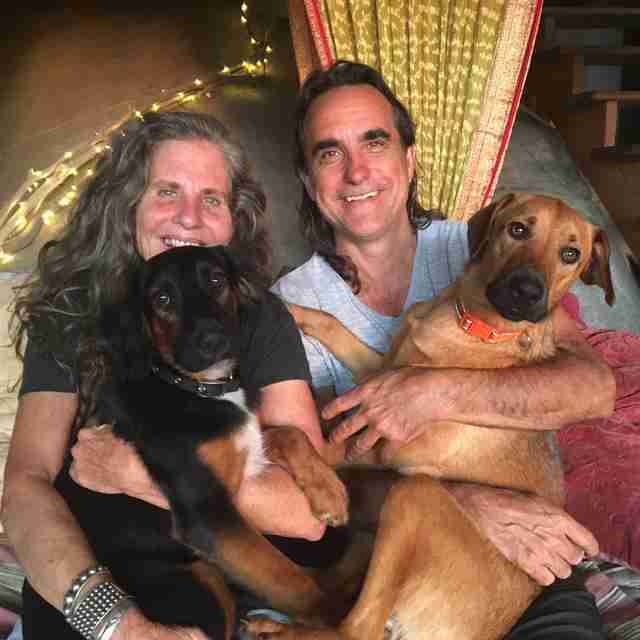 "We adopted our sweet cat, Mac, and our beautiful dog, Lucky, and now the sweetest pup, Rocco, from Charlie's Angels," Nikki and Brad told The Dodo in a Facebook message. "We couldn't be happier about how everything was organized and how beautiful our pets are." Wrapped up in a blanket, Rocco was welcomed into his new home. And the best part about the whole rescue so far was meeting Lucky, his new big brother and an alumnus of the same rescue organization. It would be an understatement to say the two dogs liked each other. 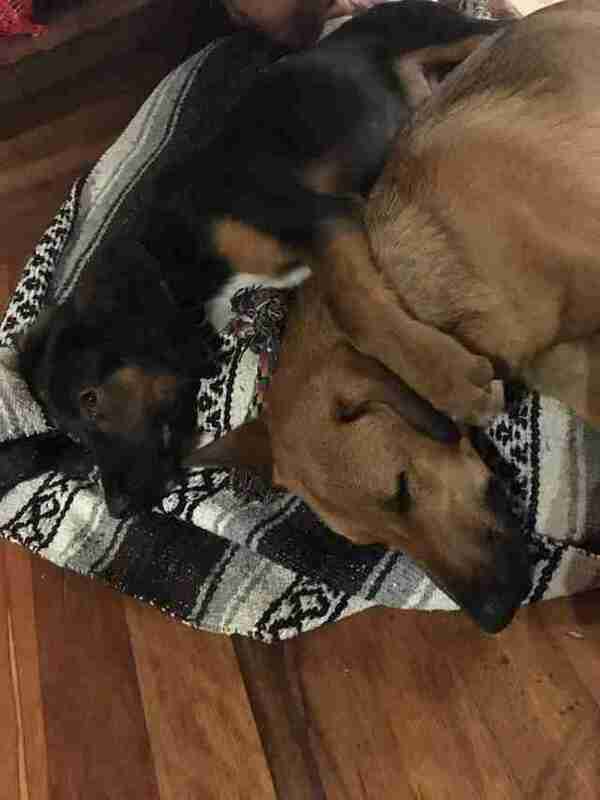 Rocco immediately spooned Lucky, even though, as a puppy, he was more apt to be the little spoon. 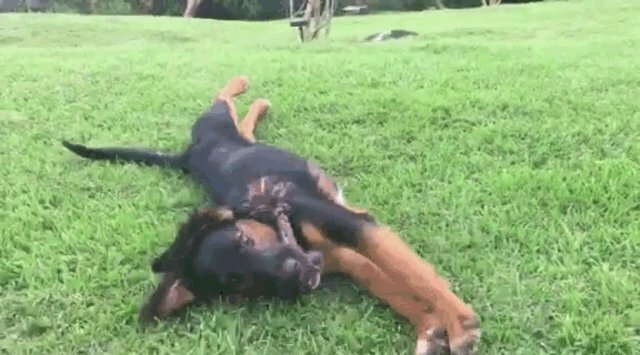 It's pretty clear the little puppy who once lived in a pig sty couldn't be happier now — and his family is quite obviously happy to have rescued him, as well. "Lucky lost his 'baby status' when Rocco moved in, but he handles it with dignity and pride," Cappelluti said. "They play all day and Lucky takes Rocco on little adventures!" 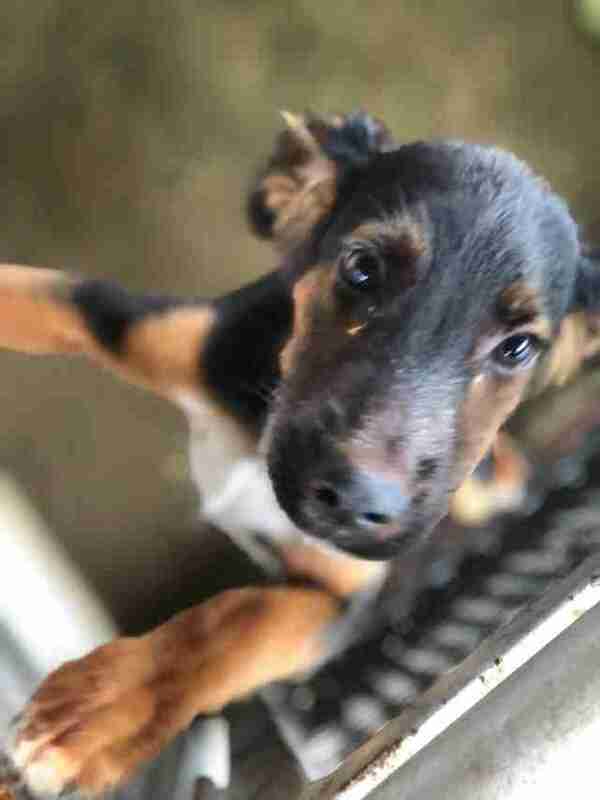 To help Charlie's Angels save more stray dogs like Rocco and his brother, you can make a donation.